Take a dramatic marketing step forward with cashwrap countertop Hanukkah Chocolate Mesh Merchandising. Chocolate is great gift for any occasion. As are gold bars and mesh bags of gold coins. 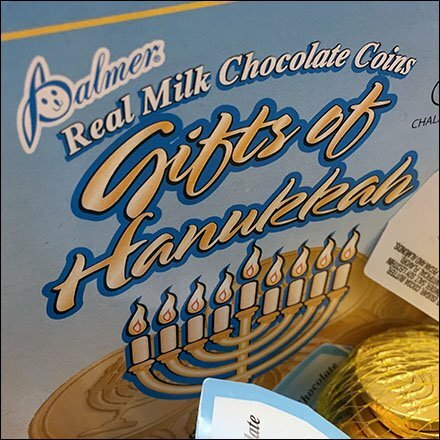 Stamp them with a Menorah imprint and you have the perfect Hanukkah Chocolate Mesh Merchandising. Consider for yourself and friends of Abrahamic origin.